Ahead of the release of Fallout 76 next month, Bethesda has formed an unlikely partnership. An announcement yesterday confirmed that the development studio will be working with the West Virginia Tourism Office to both promote the game and encourage people to visit the state. The fact that this particular videogame also showcases West Virginia through the unique lens of a post-nuclear Wasteland is, apparently, of little importance to Governor Justice. That West Virginia is getting shown off again is all that matters. The location was confirmed for Fallout 76 earlier this summer to the tune of one of the state’s other most important cultural offerings: John Denver’s iconic ‘Country Roads’. 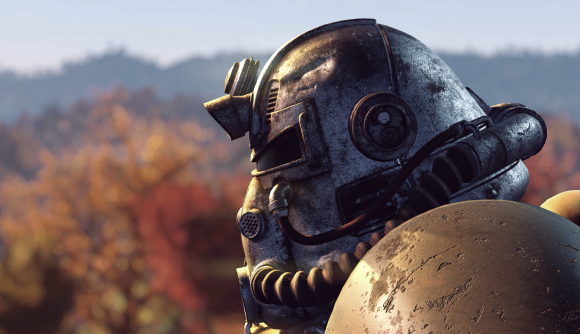 The Fallout 76 release date is now pretty close – you’ll be able to head to Almost Heaven on November 14, although there’ll be Fallout 76 beta access from the end of this month. If you get involved with that, you’ll have access to the entire game, and your progress will carry over come full release.